Fall is almost here! Have you found acorns yet? Hunting for acorns is one of our favorite Autumn activities. 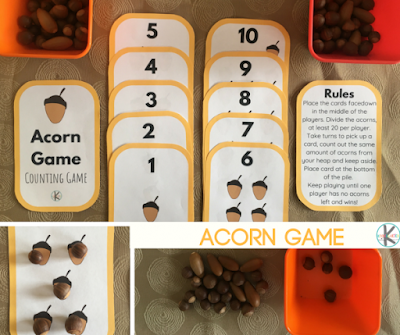 Once you have gathered some acorns, you will be ready for this fun, hands on acorn counting game that helps with counting skills too! Print and laminate the FREE printables and cut out the cards. Place the cards in the middle of the players, face down. Divide the acorns evenly between the players. The number of players will determine how many acorns you will need, at least 20 per player. 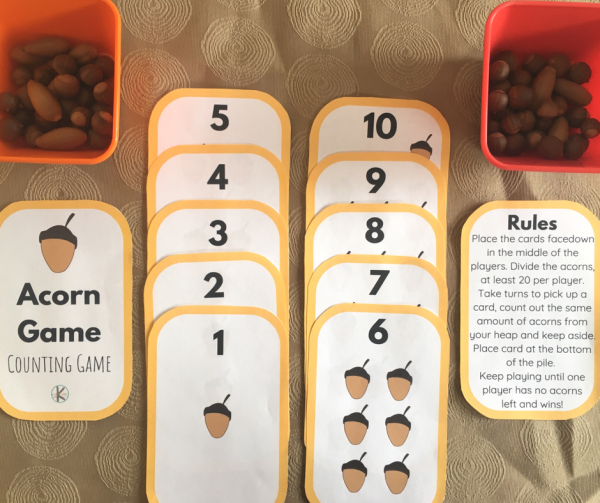 Provide a container for each player to place their counted acorns in (optional, but recommended if you do not want acorn all over the place). 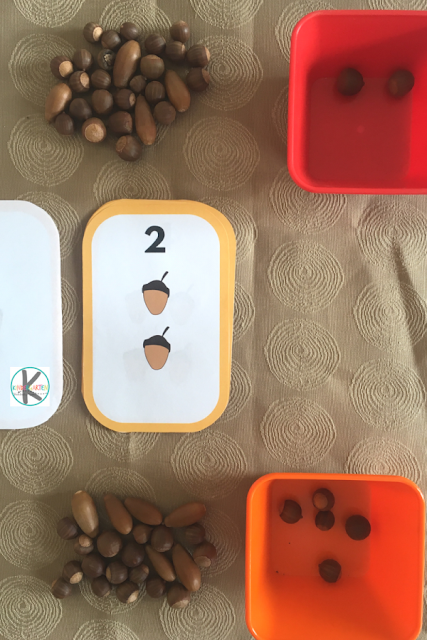 Players take turns to pick up a card, then, count out the same amount of acorns they see on the card from their heap of acorns and placing it into their container. Place the card at the bottom of the card pile to be used again. Keep playing until one player has no acorns left and wins! 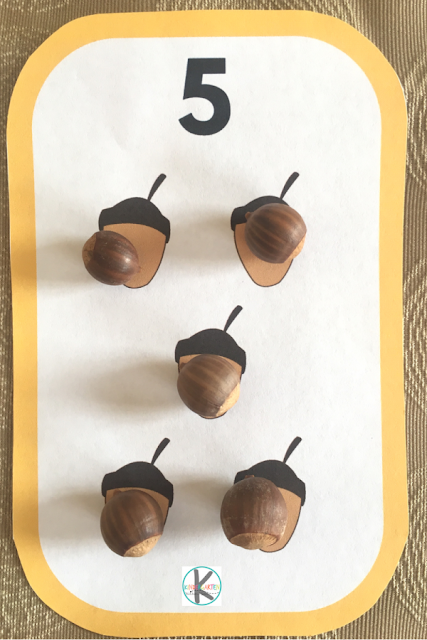 Young children might need to place their acorns on top of the acorns on the card to help them count. This is allowed and will be definitely beneficial. 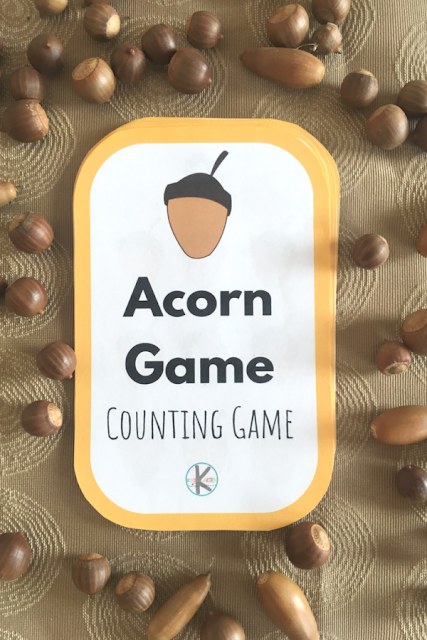 A simply, but fun acorn game to play AND work on those important counting skills!